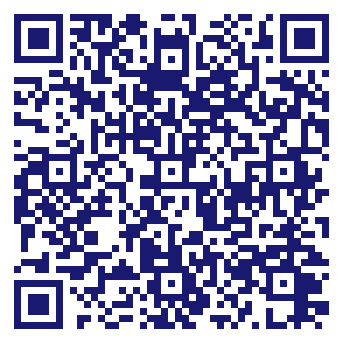 Cheap price including insurance, professional movers who worked fast. My friend recommended us to hire this company and it was a good choice. They packed our 2 bedroom apartment with a lot of furniture, art and antique and some fragile things were packed carefully and professionally. The move took a half an hour longer than they estimated but no damages at all and we were very satisfied with them. I moved my 1 bedroom apartment with some appliances from Park Slope to Downtown Brooklyn using this moving company. The three guys were very professional and the move took 4 hours and all my belongings were carefully packed and loaded. I did not pay any hidden charges and the guys were nice, so I would highly recommend this moving company for any move! Definitely worth the money. In the past, we have hired movers several times both in Brooklyn and New York, but this time we found this moving company on Google and Yelp with many good reviews so we decided to choose the movers for our fully furnished 2-bedroom apartment. The Customer Services guy was nice and gave us all the information we needed including packing details. Their movers came on time, packed all our furniture so we were moved without any damage. The price we paid was the same as their estimate. We will use them again for our coming move to New Jersey. We scheduled a move with Flatrate movers but at the very last moment they called and cancelled our move, so we had to find a local inexpensive moving company near Brooklyn for the same day move. This company gave us the best rates even compare to Flatrate and they also packed and disassembled all our furniture and beds. We really liked the high level of moving services those guys offer. Our best wishes to the crew members who moved us - Jack, Willy and Andrey, those guys are real pros. Do you own Flatlands Brooklyn Movers? Due to the unique way that the eBusinessPages Business Directory is structured a Premium + Verified Listing is the most powerful way to get more clients to contact Flatlands Brooklyn Movers. Not only will your listing be more noticeable and more trustworthy, it will also be displayed more prominently in our category (Movers and Parent Categories) and location (Brooklyn, NY and USA Wide) listings. 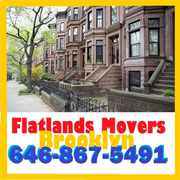 Flatlands Brooklyn Movers will be displayed in your competitor's listings while no ads will be shown in your own listing. Starting at $2.78 for a Premium Verified Listing, there is every reason to give Flatlands Brooklyn Movers the eBusinessPages Premium treatment today.